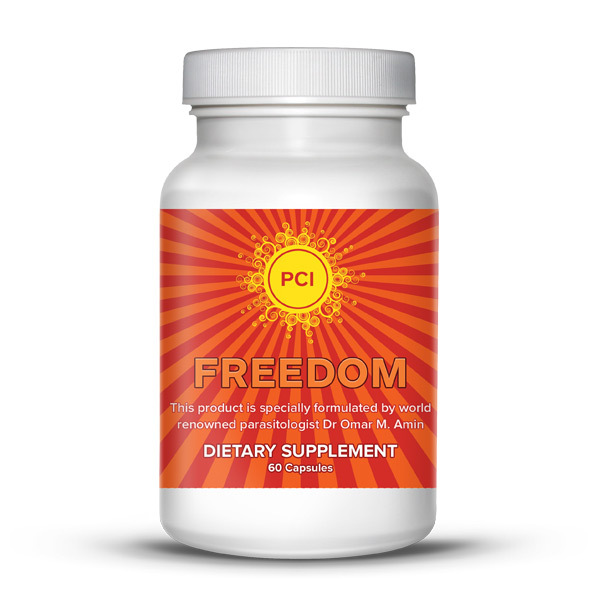 Freedom is one of the strongest anti-parasitic formulas on the market yet still gentle on the body. It is one of the three formulas developed by world renown parasitologist Dr. Omar M. Amin. The formulas are based on Dr. Amin's research and experience that covers known remedies from the Ancient Egyptians and Ancient Chinese to date, and that have been published in refereed journals. For instance, see Amin, O. M. and Amin, K. O. 1998. Herbal Remedies for Parasitic Infections Explore 8 (6): 1-59 and Amin, O. M. 2003. Ancient Egyptian Medicine Explore 13 (5): 7-15. Quantity discounts are available. Change the quantity in your cart to update. Watch Dr. Amin's new video on .